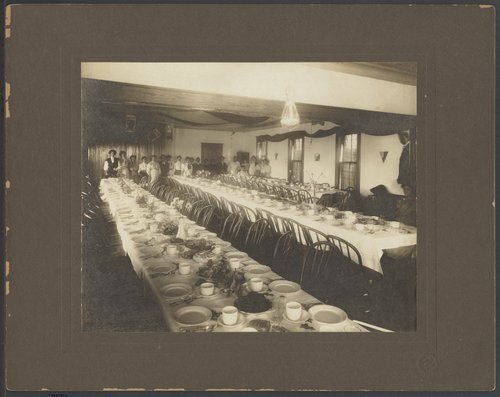 A photograph of women preparing a dinner in the annex of the Congregational Church in Kinsley, Kansas. The church was built in 1875 and the annex was completed in 1928. It was the first church constructed in Kinsley, Kansas.